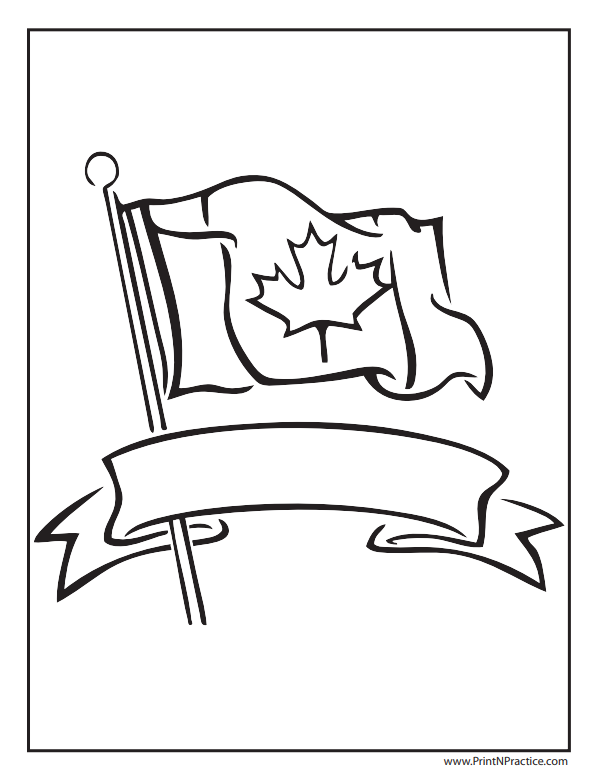 See nine flag coloring pages below. United States, Canada, Great Britain, Betsy Ross, parades, and fireworks! 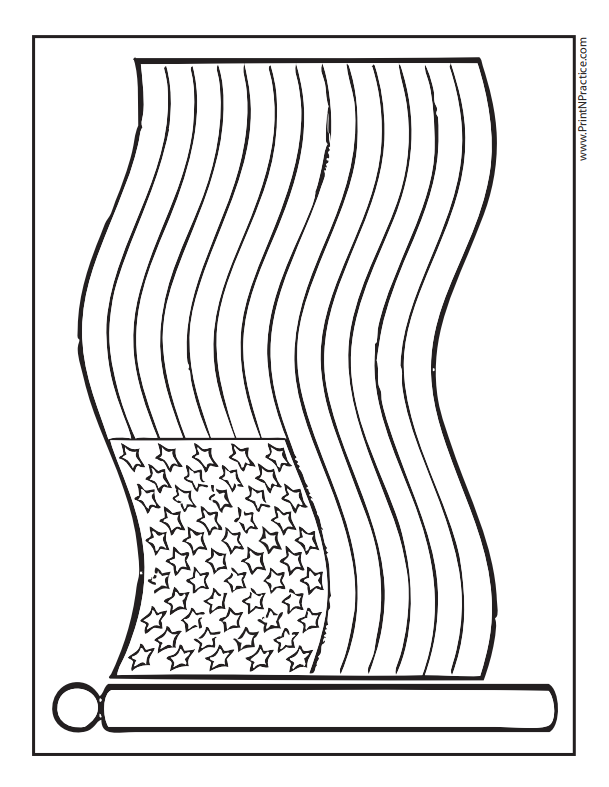 Enjoy our printable flag coloring pages and see an explanation of the different countries below the coloring pages. Some countries have the same pattern on their flags so it's fun to know which ones are which! Are you from the USA? Love the Stars and Stripes! Get out the red, white, and blue to color Old Glory. Canada? England? Two of these are just for you! See more info below these pictures. I find that studying history and geography together helps children understand both better. The more visual the details, the better. 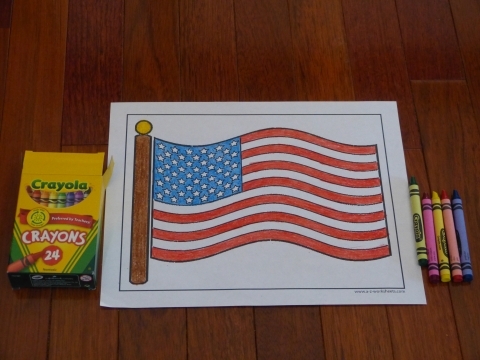 Most children love coloring the flag of the country or state they're studying. It's also nice to point to a map or the globe and trace the story's journey over the map. If you want history to become easy to remember print our history timeline template on card stock for kids to keep through high school. Awesome memory aid! 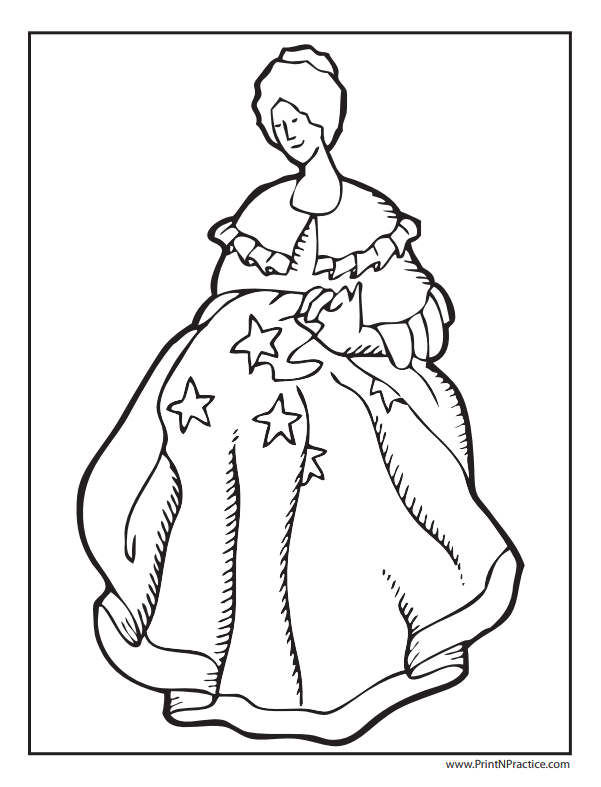 Click the icons to see and go to the full-sized PDF coloring pages. 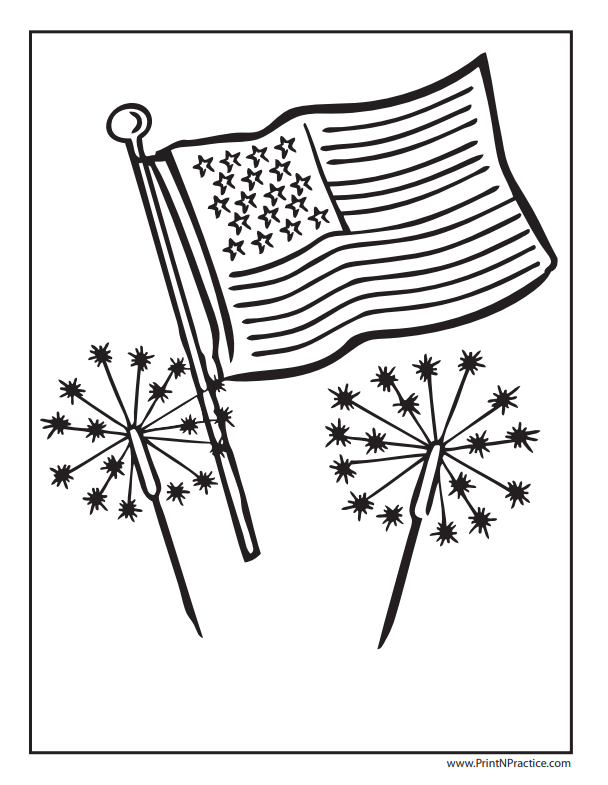 Here's a realistic printable American flag with a whimsical printable flag with fireworks. 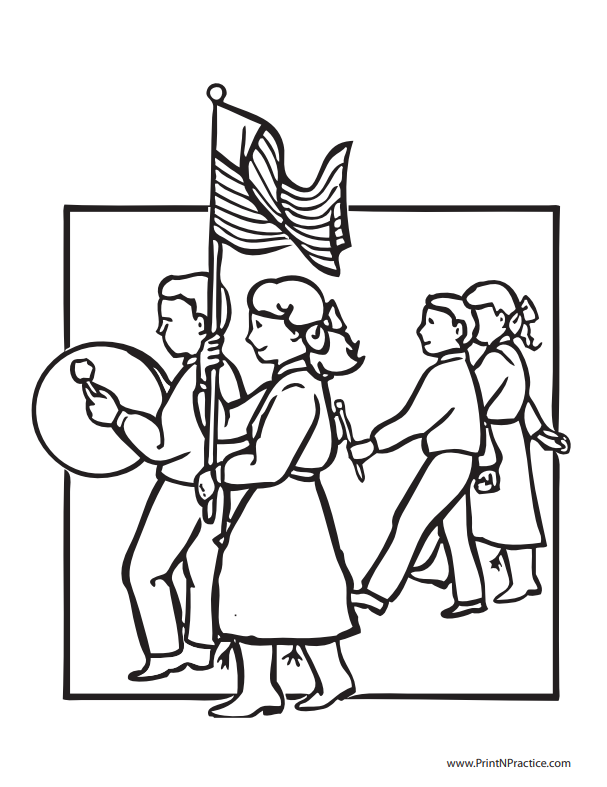 Boys and girls love to march in a marching band with the flag. Happy Fourth of July! Keep all the patriotic holidays with these treasures: Memorial Day, Labor Day, Veterans Day and of course Flag Day. May God bless the USA! Again, think red, white, and blue! Kids love coloring a picture of Betsy Ross and the flag. Here's a picture of a flag girl, too. Remember to choose red and white for the stripes and a blue field under white stars. 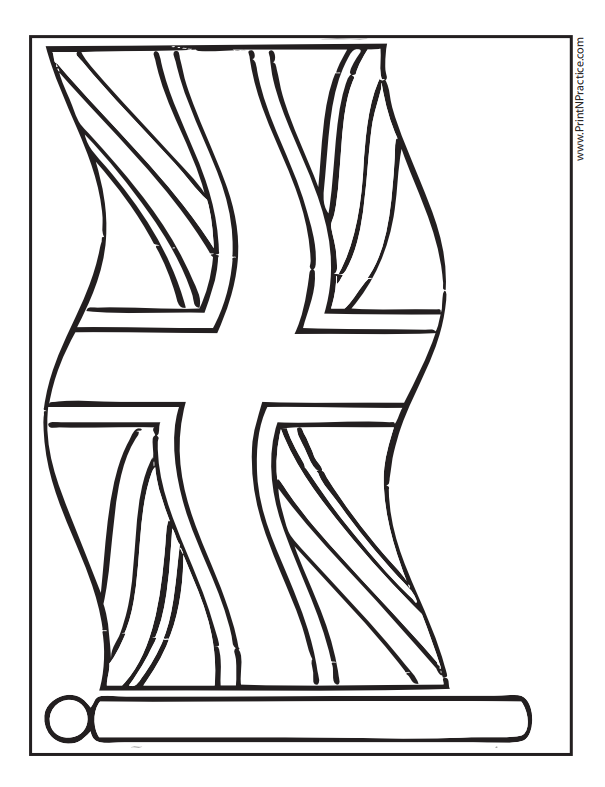 I love these printable flags from Canada and Great Britain! The Canadian flag is red and white and England's flag is red, white, and blue. Since many countries use the tricolor triband format I've researched a few for which you can use a plain flag to color the particular country's flag. It is more interesting to color flags when you know something about them. You can add to these notes with ideas that are specific to the areas that you are studying with these printable flags. Belgium Flag- The flag of Belgium is black, gold, and red. Chad Flag - The flag of Chad is blue, gold, and red. Cote d'Ivoire - The flag of the Ivory Coast is orange, white, and green). French Flag - The flag of France is blue, white, and red. Guinea - The flag of Guinea is red, gold, and green. Irish Flag - The flag of Ireland is green, white, and orange. Italian Flag - The flag of Italy is green, white, and red. Mali Flag - The flag of Mali is green, gold, and red. Romanian Flag - The flag of Romania is blue, yellow, and red. There are many other more local tricolor flags. 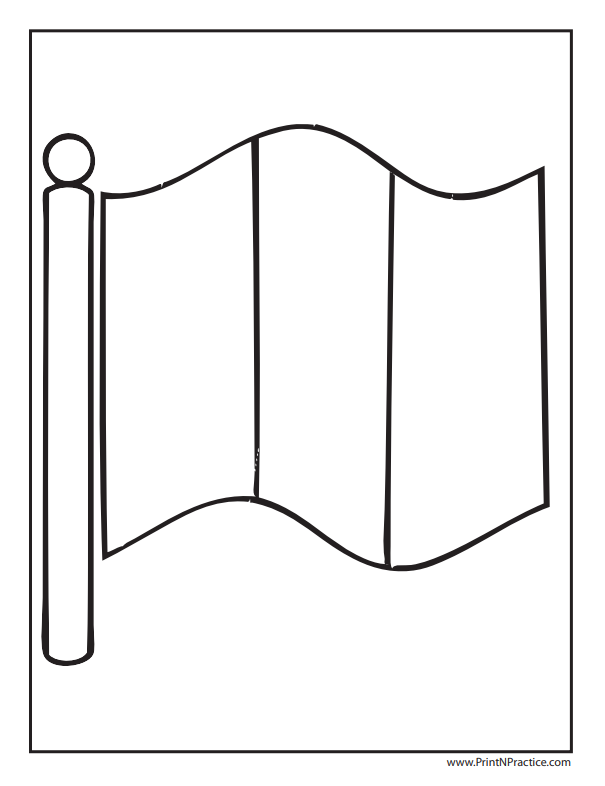 These have three vertical bands of solid color that are each about one-third the field of the flag. There are others that have an extra symbol, especially in the center. Peruvian Flag - Flag of Peru (red and white in the center). Add the silhouette of a maple leaf and you have the flag of Canada. Remember to use red on the left and right with a white center. Yemen Flag (red/top, white, black). Colombia's has a larger band across the top (gold/top, blue, red). Austria (red, white in between). Add symbols and you can create many other kinds of flags. 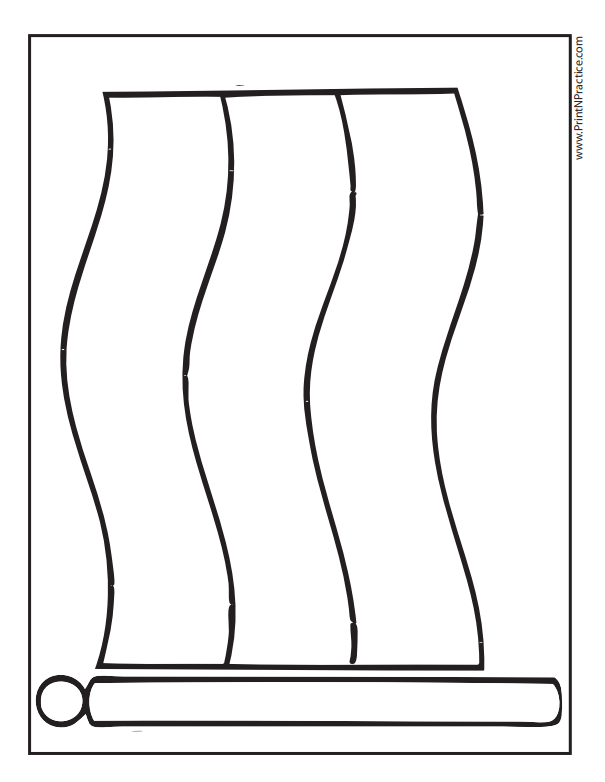 Thank you for visiting our printable flag coloring pages! 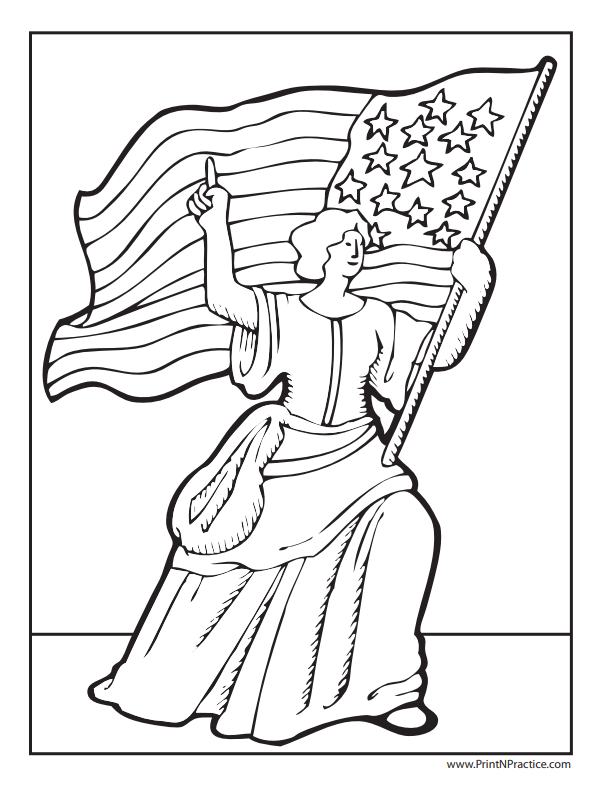 ColorWithFuzzy.com has oodles of Fourth of July and patriotic coloring pages. 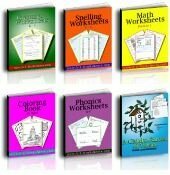 Buy All 350 Kids Coloring Pages in One Bundle! 1. 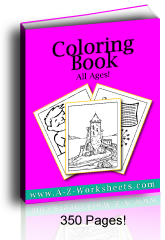 Buy All 350 Coloring Pages In One PDF Download. No ads. 4. Great for Pre School and Kindergarten.